More A4 brochure and flyer mockup is here to download. 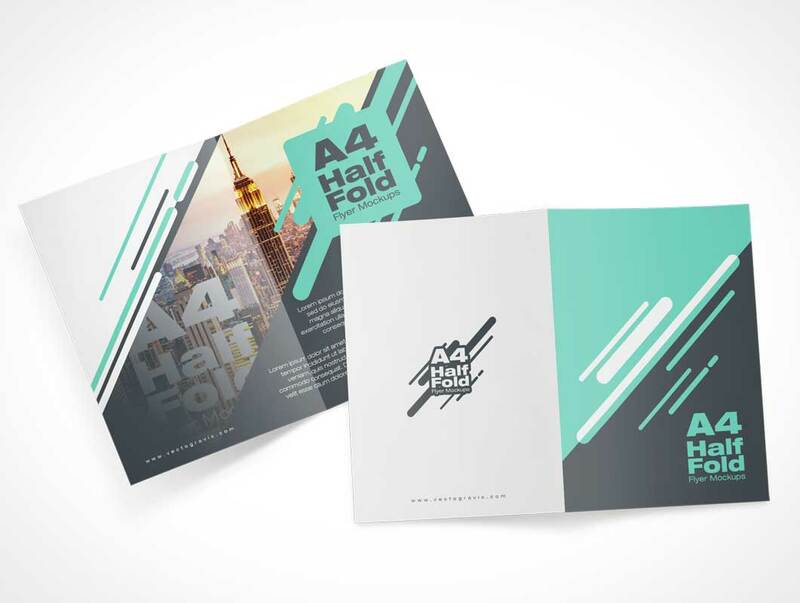 A4 Half Fold Flyer Mockups is an attractive mockup to showcase your brochure design, with three different views to show the front page, back page and inside page. This mockup dimension is 2000×1500 px at 300 dpi.